PlayStation 4 exclusive Yakuza 0 will be launching on the next-generation console early next year from January 24th, 2017. Providing a game that takes place back in 1988 and is full of 80s references say its developers. Check out the official trailer for the new Yakuza 0 game as well as some recent gameplay footage which was recorded at this year’s E3 2016 games conference to whet your appetite and learn more about the storyline. Scott Strichart Associate Localization Producer Explains a little more about what you can expect to enjoy over on the official PlayStation Blog. 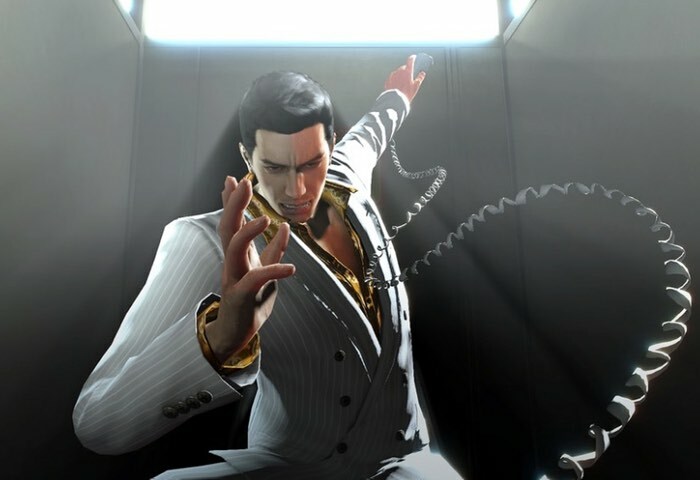 If you’ve only heard some friends shout “Play Yakuza!” from the rooftops of the internet, Yakuza 0 is the perfect game to get into the series. Yakuza 0 is a prequel to all the previous games, where our grizzled yakuza-with-a-heart-of-gold protagonist, Kazuma Kiryu, is a bright-eyed 20-year-old, fresh into the game. Meanwhile, Goro Majima, the guy with the snake-skin jacket and the hot streak of insanity, is a suave and calculated owner of a cabaret. He actually wants to get back into the yakuza. But let’s back it up a step or six. I’m Scott Strichart, the localization producer on the game, and I wanted to tell you about some of the ways we’re taking this game’s localization to the next level. I’ll start with saying that, for the first time since Yakuza 2 back on PS2, we’re actually putting all the chapter titles, character introductions, opponent names, and on-screen directions in English, instead of just subtitling the kanji. This might seem like a pretty small change, but I think when you get to play the game, you’ll really feel the difference!